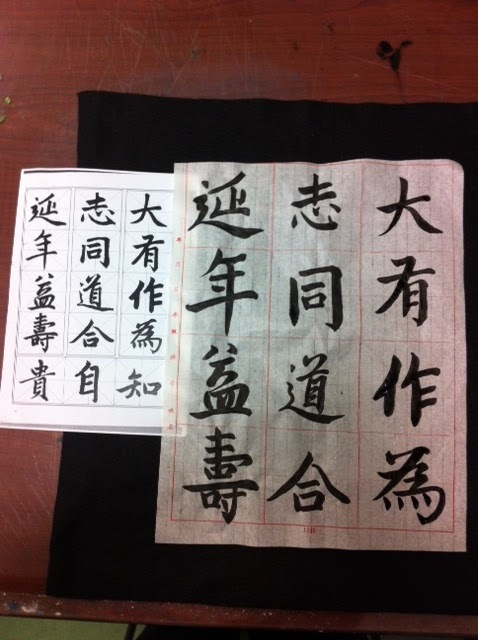 Presented here are 3 pictures of my hand writing vis-a-vis the photocopied samples provided by my calligraphy teacher, Madam Feng of NAFA. You can see some significant differences. Some of the Chinese characters written by me are *not* properly in the center of each red box. 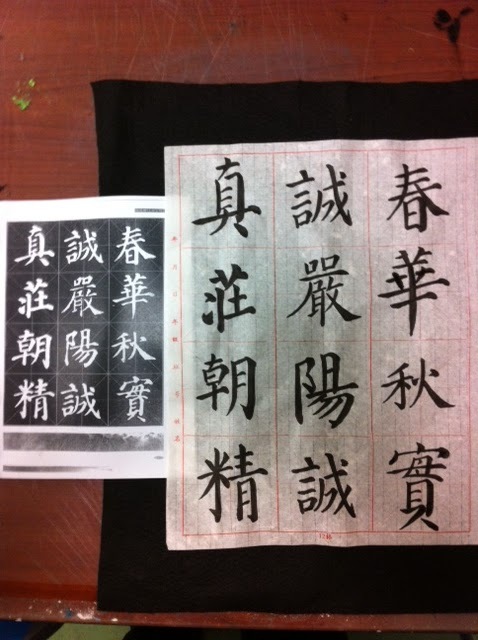 This is highly undesirable, as one single off-centered word could affect the "balance" of entire piece of calligraphy writing, so the the whole thing needs to be written from scratch again. 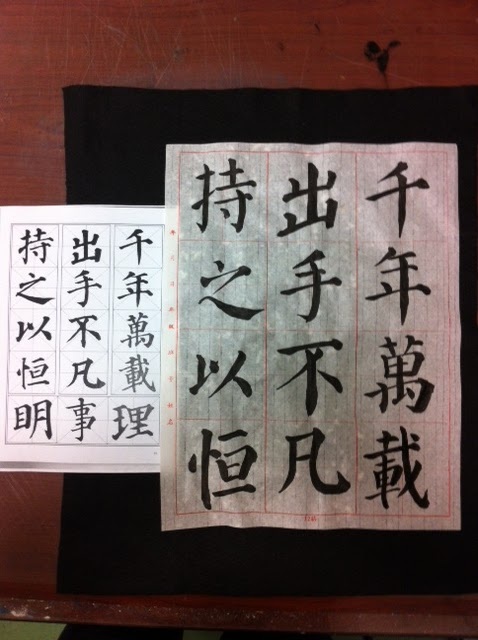 What I learned in class on Tuesday night of 7 August 2012 was: when writing big sized Chinese characters, it's better to write with bolder strokes. This can be done by holding higher up on the stem of the brush, and by using a bigger sized brush. Also, one has to avoid resting the writing arm's elbow when writing bigger-sized characters. (*smile*) I still have much to learn!